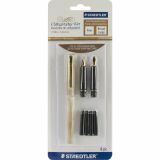 Calligraphy Pen Set 7pcs - STAEDTLER-Calligraphy Pen Set. Pen has a beautiful faux-marble finish in this set. 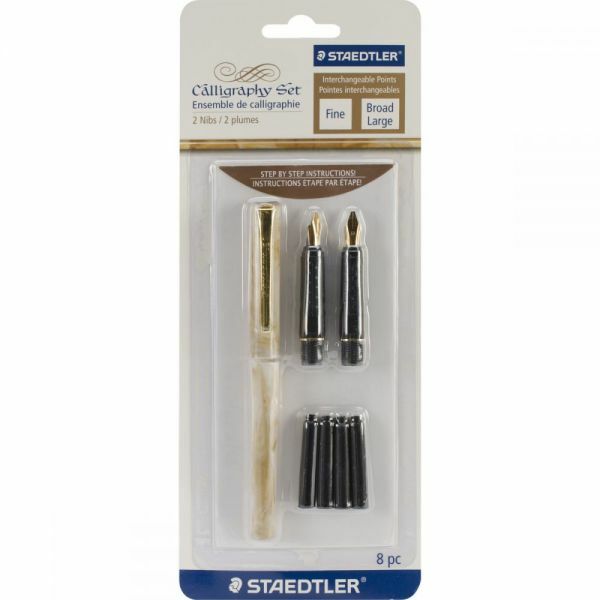 Also included: 2 nibs (fine and broad) with comfort grips, 4 black ink cartridges, plastic wallet and easy to follow instructions. Package size: 9.5Hx4Wx.5D inches. Imported.